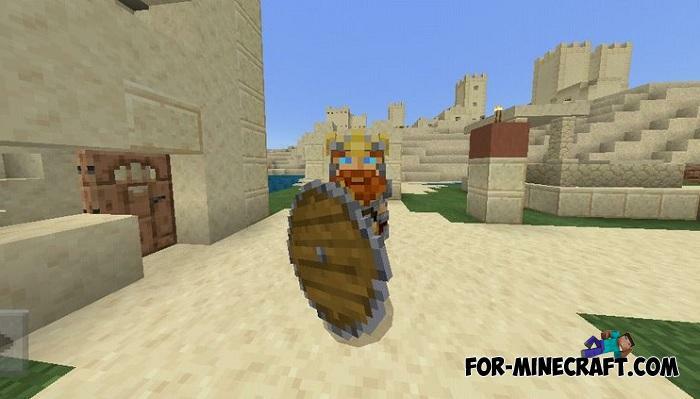 After the appearance of shields in Minecraft PE, addon and texture makers immediately drew attention to this from the point of view of modification and customization. After all, a shield is a great thing that can be changed beyond recognition, to make it more realistic, just as the elytras changed after they were added to MCPE. This time, instead of a rectangular shield, you will get a round one. Such shields were used almost always and especially in the time of the Vikings. The shield itself is made of wood and framed with iron. 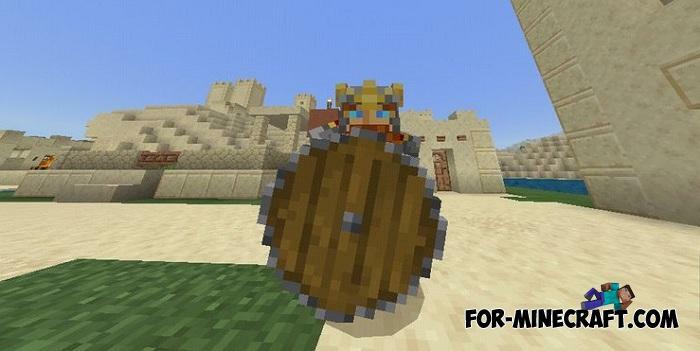 Holding this shield in your hands, your defense will increase many times in particular against arrows. And recently, JoePaleto has released his Captain America's Shield Addon which replaces the vanilla shield with super durable. How to install the Viking Shield Addon? Colored Elytras for Minecraft PE 1.XWhat else could be customized in Minecraft BE? Of course, let's consider the possibility of using 16 color elytras..
Defense mod (Minecraft PE 1.0.3) (IC 2 mod)The Defense mod adds various towers working on special energy ore, hostile mobs and incredible celestial things. Towers can cause damage, blow up, slow down, set on fire or..
Captain America mod for Minecraft PE 0.15.6If you want to feel as a superhero, then download this mod..